There are many sites offering YouTube downloaders, video downloaders, audio editing software and much more for a price. Searching the Internet for good free alternatives can take time, so listed here are some programmes for free that should help. If you know of any good freeware, please contact the site. Free software gives you the freedom to use a program, study how it works, improve it and share it with others. For more information. Programmes like Audacity are also called open source software, because their source code is available for anyone to study or use. There are thousands of other free and open source programmes, including the Firefox web browser, the LibreOffice or Apache OpenOffice office suites and entire Linux-based operating systems such as Ubuntu. They welcome donations to support Audacity development. 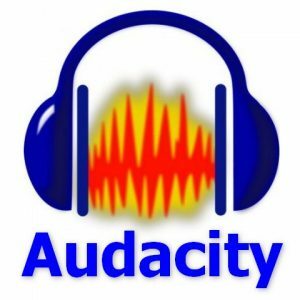 Anyone can contribute to Audacity by helping with documentation, translations, user support and by testing their latest code. 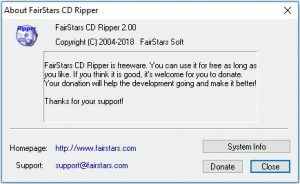 FairStars CD Ripper is a free powerful software for ripping audio CD tracks to WMA, MP3, OGG, VQF, FLAC, APE and WAV formats files on-the-fly. Free CDDB is supported (Querying & Submiting). It supports normalisation when ripping, and also support ID3 tag. FairStars CD Ripper also supports playback with its built-in player. Supports automatic volume adjustment (normalisation) during ripping. Query and submit CD disc information from/to the freedb (the Internet Compact Disc Database). Easy-to-use user-friendly interface (skin support). You can download High Quality videos, High Definition and Full HD videos from YouTube. Youtube Downloader HD is a Freeware.